FOUND! Perfect last-minute Xmas gift ideas! Stuck on the perfect last-minute gift for someone special this Christmas? 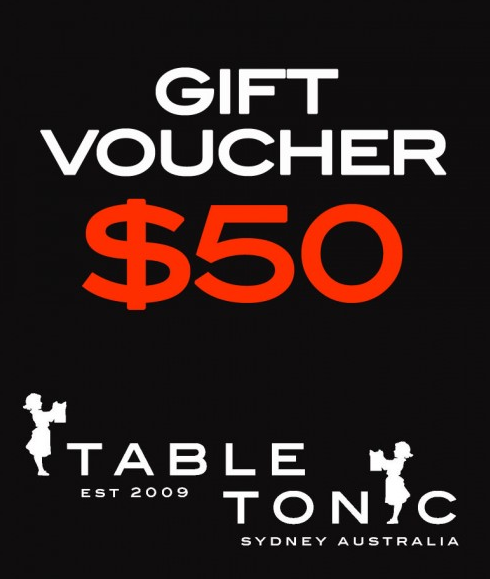 A Table Tonic gift certificate might just do the trick! Available in a wide range of price points, each gift certificate is stylishly designed and arrives in a jewel-coloured box, wrapped with grosgrain ribbon - ready to give. Your gift certificate will be Express Posted (next day delivery) straight to you or the recipient, FREE OF CHARGE! Click to shop Table Tonic gift certificates! getting know-how daily by reading thes nice content. Its not my first time to go to see this web page, i am browsing this website dailly and obtain nice data from here everyday.